A new US study comparing the costs of energy from various generation technologies indicates that an “inflection point” has been reached where, in some cases, it is more cost effective to build and operate new renewable-energy projects than to maintain existing conventional generation plants. The finding is contained in Lazard’s latest ‘Levelized Cost of Energy (LCOE) Analysis’, which the financial advisory firm compiles yearly. The report has been released together with the company’s latest ‘Levelized Cost of Storage Analysis’, which points to significant cost declines across most use cases and technologies. The analysis shows that the cost of generating electricity from utility-scale solar photovoltaic (PV) and onshore wind continued to decline last year, with solar PV decreasing by 13% and onshore wind by almost 7%. Decreases since 2009 are more dramatic, with the mean unsubsidised LCOE for solar PV falling 88% and onshore wind decreasing by 69% over the nine years surveyed by Lazard in the report. The analysis shows the “low-end” levelised cost of onshore wind-generated energy to be $29/MWh, below the average illustrative marginal cost of $36/MWh for coal in the US. The levelised cost of utility-scale solar, meanwhile, is stated to be nearly identical to the illustrative marginal cost of coal. However, Lazard notes that the comparison is accentuated when renewables subsidies are considered. These result in levelised costs of energy of $14/MWh for onshore wind and $32/MWh for solar PV respectively. “Although diversified energy resources are still required for a modern grid, we have reached an inflection point where, in some cases, it is more cost effective to build and operate new alternative energy projects than to maintain existing conventional generation plants,” Lazard power, energy and infrastructure group head George Bilicic says in a statement. “As alternative energy costs continue to decline, storage remains the key to solving the problem of intermittency and we are beginning to see a clearer path forward for economic viability in storage technologies,” Bilicic adds. Lazard’s storage analysis indicates that the cost of lithium-ion technologies should fall by as much as 28% over the next five years. The Lazard findings are significant for the US, with the calculations pointing to the possible further early retirements of coal-fired plants, notwithstanding President Donald Trump’s campaign promise to revive the coal industry. However, they are also potentially significant for South Africa, which has seen the cost and performance of Eskom’s 15-strong coal-fired power station fleet deteriorate in recent years. Research conducted by Meridian MD Dr Grové Steyn shows that Eskom could save significant costs by decommissioning its older or more expensive coal stations as soon as possible. The analysis calculates that the early decommissioning of Grootvlei, Hendrina and Komati and putting a halt to Kusile units 5 and 6, could yield net financial savings of between R15-billion and R17-billion. Steyn has, thus, argued that the advent of low-cost renewable energy presents a “game changing” opportunity to assist in addressing Eskom’s financial crisis and to lower the risk of further sharp tariff increases. “This will require a complete paradigm change in order to adjust to the fundamental technological disruption in the industry and to ensure that Eskom and South Africa can capture most of the benefits that will arise therefrom,” Steyn has written in response to the draft Integrated Resource Plan (IRP 2018). The draft IRP 2018 states that the lowest cost new generation scenario for South Africa is one based on solar PV, wind and gas, or other flexible generation technologies. 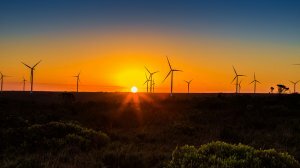 Likewise, University of Cape Town’s Graduate School of Business Professor Anton Eberhard has argued that the cost of future grid-connected wind and solar PV projects in South Africa is poised to fall even further, notwithstanding some dramatic cost reductions over the past five years. “If South Africa ran a new competitive procurement now, solar and wind energy bids would be below ZAR 50c/kWh, lower than the operating costs of Eskom’s most expensive coal power stations,” Eberhard states. Nevertheless, there is growing resistance, particularly from South African trade unions, to both renewable energy and an expanded role for independent power producers (IPPs) in power generation. The National Union of Mineworkers (NUM) is preparing to march to the Union Buildings, in Pretoria, on November 17 to a protest against the IPPs and to call on Eskom to invest in “clean coal technologies”. The NUM will also demand that Eskom remain responsible for the generation, transmission and distribution of electricity.